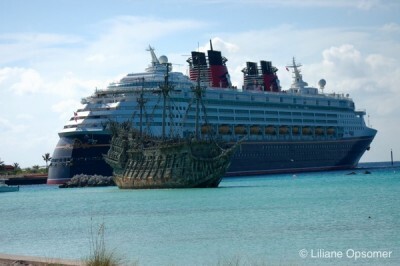 My first Disney cruise was on the Disney Wonder, and I have fond memories of the ship at Castaway Cay when the Flying Dutchman, the prop ship from the Pirates of the Caribbean movies, was still roaming the seas. I am excited about Disney’s announcement that the ship will go into dry dock and get quite a beauty treatment. The ship, in service since 1999, holds about 2,700 passengers and 950 crew members and plies the seas from Alaska to the Caribbean. When the Disney Wonder returns to sea in late fall, guests will be able to experience a range of new offerings. I am most looking forward to dining at Tiana’s Place, a restaurant inspired by Princess Tiana from The Princess and the Frog. 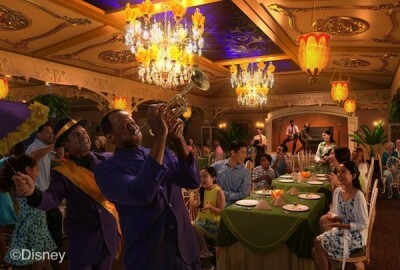 Disney promises New Orleans-style food and entertainment, with live music creating the atmosphere of a French Quarter supper club. The restaurant is not an addition to the existing full-service restaurants; rather, Tiana’s Place will replace Parrot Cay. Animator’s Palate will now feature the popular “Drawn to Magic” and “Animation Magic” dinner shows; Cabanas will get a makeover; and Palo, the upscale specialty restaurant, will shine in new Venetian-inspired décor. The Diversions sports bar on Deck 3 Forward will be replaced with a brand-new English pub. The pub will be decorated with dark woods, plush leather furniture, brass accents, and artwork giving a subtle nod to classic Disney films set in London. The pub will serve British and specialty beers. Kids will love to hear that Spider-Man and other Marvel Super Heroes will appear in person at Disney’s Oceaneer Club. The new Marvel Super Hero Academy will offer exciting adventures for kids ages 3 to 12. Little tykes are not forgotten either, as Club Disney Junior will feature favorite Disney Junior characters, storytelling, and games, including a special visit by Doc McStuffins. And, in Andy’s Room, Woody and Jessie will appear in person. Last but not least, there will be plenty of Frozen adventures and royal in-person visit by Anna and Elsa to the Oceaneer Club. A reimagined and relaxing Senses Spa & Salon will also offer the Chill Teen Spa program designed exclusively for guests ages 13 to 17. I am looking forward to the Disney Wonder offering entertainment and amenities that will be in line with the Dream, Fantasy, and Magic. While Disney announces enhancements from “stern to deck,” including the upper decks. Kids will be able to enjoy a new AquaLab pool, Dory’s Reef Splash zone, and a Twist ‘n’ Spout waterslide. We unfortunately won’t see the addition of a popular waterslide such as the AquaDuck on the Dream and Fantasy, or the AquaDunk on the Magic—maybe next time. 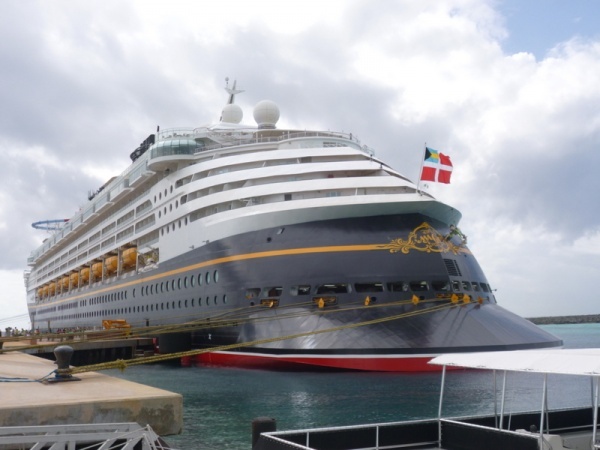 You can experience the newly enhanced Disney Wonder as of November 10th for sailings from Galveston, Texas, to the Bahamas and the Caribbean, until the ship sails to San Juan, Puerto Rico, on January 20, 2017. On January 26, 2017, a three-night cruise takes guests from San Juan to Port Canaveral, where the ship will homeport for the spring. For more information check out The Mouse for Less Disney Cruise Line offers and discounts and request your no-obligation quote from The Magic for Less. For details on all of Disney’s ships and itinerary check out The Unofficial Guide to Disney Cruise Line by Len Testa, Erin Foster, Laurel Stewart, and Ritchey Halphen.